With both The Waking Fire and City of Blades this year, I am really digging the early 1900’s fantasy feel of The Waking Fire. What made you want to choose this particular setting compared to the more traditional fantasy time period? Or what was your general inspiration for the story? I knew I wanted to write something about dragons but didn’t want a cod-Medieval setting as it didn’t really fit the themes I wanted to explore, particularly politics and economics. A post-industrialised setting seemed to offer the most opportunities. The 19th century is a period that offers a great deal of story fodder for a writer; competing empires, enormous technological and geo-political change as well as recurrent revolutions and shifting social norms. Making dragons the central component of the economy of such a world enabled me to tick all the boxes I wanted to tick. How did you balance the different types of stories (spy, adventure, military) between Liz, Clay, and Hilemore so well? It’s always best to write what you love so I was careful to choose three of my favourite genres when assembling my cast of characters: the spy story for Lizanne, military adventure for Hilemore and the western for Clay. I also made sure the different story types were interconnected so it seemed plausible that all three could play out in this world. The idea of the Blue trance – in which characters can communicate telepathically across huge distances – was key to ensuring the book doesn’t come across as three separate stories in one. Who was your favorite character to write of the three? Who was the most difficult (and why)? I didn’t really have a favourite for this one, all the characters have their pluses and minuses. Clay is a thief and occasional murderer but also brave and fiercely loyal to his friends. Lizanne has her selfless moments but she’s also a cold-blooded killer when the need arises. Hilemore is the most admirable of the three, at least on the surface, but he can be a bit of a stuffed shirt and he’s steeped in a military/conservative outlook. On the whole I think Lizanne presented the biggest challenge because she has the biggest emotional journey. The dragons of your world are varied and interesting beyond simply being “giant fire lizards”. Were you inspired by specific animals or other sources when you were writing the various species of dragons? There’s a reason why you can’t keep crocodiles or Komodo dragons as pets (unless you’re mad of course). Reptiles have often struck me as one of the purest examples of nature’s indifference, they kill when they’re hungry and display none of the traits humans find so endearing in fellow mammals. Although I was keen to reflect this in conceiving the drakes, presenting them as real world wild animals rather than anything mystical, it would have been boring if they were just mindless killing machines. It also made for another level of interest to the plot if the humans were to discover that there was a great deal more to the animals they had been exploiting for centuries. Can you give a brief rundown of how you envision the Ironship Trading Syndicate and the Corvantine Empire? Will we be seeing them more fleshed out in the second book? The template for the Ironship Trading Syndicate came from the British East India Company of the 18th-19th Century which operated its own army and navy in controlling much of the Indian sub-continent. At the height of its powers this company was probably the richest single entity on Earth, outstripping the governments of the day. Therefore it wasn’t too much of an imaginative leap to conceive of a scenario in which companies like this had simply taken over in the wake of a socio-economic upheaval. I conceived the Corvantine Empire as a bulwark against the rise of corporatism. In some ways it’s of a mix of Victorian Britain and Tsarist Russia, being both territorially ambitious and decadent to the point where it’s constantly beset by revolt and internal division. We’ll be seeing more of the internal workings of the Syndicate and a lot more of the Corvantine Empire in the second book. What did you learn from writing your earlier series. The Raven’s Shadow, that you applied to your work on the Draconis Memoria? My planning and editing processes have become a lot more efficient as a result of writing the Raven’s Shadow books, however, the actual writing itself never seems to get any easier. I think the main lesson I learned is the importance of deadlines – no book ever wrote itself and making sure you deliver on time requires constant and regular effort. 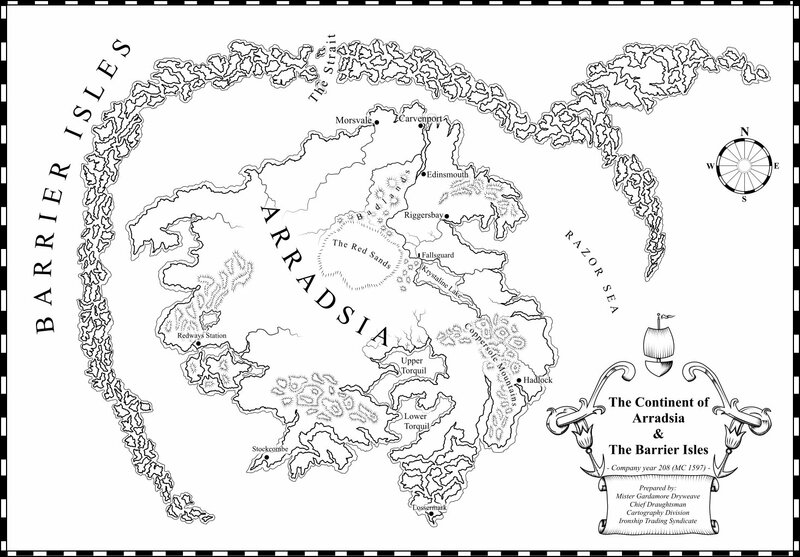 Without giving away spoilers, where does the second book in the Draconis Memoria take us and what are some of the themes? Revolution is a much more prominent theme in the second book (which is called The Legion of Flame). The characters will be journeying far and wide so we’ll be seeing more of the world beyond the continent of Arradsia, we’ll also learn what the White Drake has in store for humanity and it’s hardly a spoiler to say that it’s not good. One of my desires from The Waking Fire was to hear more from Hilemore, will he be getting a larger part in book 2? Hilemore has a prominent role in The Legion of Flame but his overall screen time is about the same as in The Waking Fire. It looks like he’ll have an enlarged role in book 3 though. Do you think there will be any additional perspectives in the future books, or will you be sticking with our three current leads? There is one additional point of view character in The Legion of Flame who we’ve met before, but I won’t say who because it’s a massive spoiler. Clay, Lizanne and Hilemore are all back though. What are you reading in your spare time right now, and do you have any current recommendations of things you have read recently? I recently finished The Mirror’s Truth, Michael R Fletcher’s sequel to Beyond Redemption which more than lived up to its predecessor – neither are for the faint-hearted though. I also just completed Max Hastings’ The Secret War which is an excellent history of espionage and codebreaking in World War II. Currently, I just started The Judging Eye by R Scott Bakker and Reel History by Alex von Tunzelmann, an often hilarious comparison of Hollywood versus real history. It is a common refrain of fantasy writers that they “don’t read fantasy”. Is that the case with you, and if not what other fantasy writers would you recommend, personally? I do still read fantasy but think it’s important to explore other genres as well as reading non-fiction. 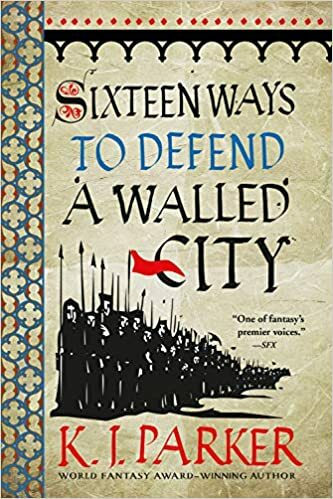 Fantasy writers I enjoy include the already mentioned Michael R Fletcher and R Scott Bakker, whilst the works of KV Johansen and Django Wexler were a recent happy discovery. I’ll also probably read anything by Mark Lawrence, Robin Hobb, China Mieville and the late great David Gemmell. I know it’s terrible, but I like puns in my titles. Anthony Ryan caught a lot of flack for Queen of Fire, his final book of The Raven’s Shadow. In the days since I started and finished his new book, The Waking Fire, I have had an alarming number of people come up to me and tell me unasked that they won’t be buying The Waking Fire because of their feelings about Queen. Each and every time I have responded with two comments; judging an author by one book is dumb (I even wrote a post about it), and it is your loss because dear god The Waking Fire is good. I was really nervous to read Ryan’s new book, because regardless of how you feel about Queen, authors often have some trouble breaking into their second major series regardless of how good their first is. I was actually sitting on the subway when I finished my previous book and decided to crack open The Waking Fire and give it a glance. I was so engrossed, so quickly, that I missed my subway stop twice. So what is The Waking Fire? That is where things get interesting. Ryan’s new book has an enormous scope, and it seamlessly combines three different kinds of novels; spy thriller, military fiction, and an adventure quest. 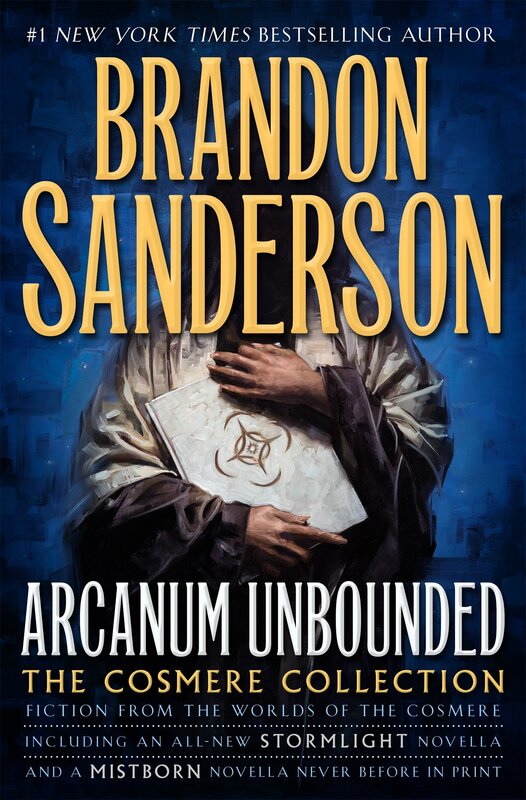 The book is set in a fantasy industrial world where technology is fairly far advanced, but there is still a reliance on magic. Speaking of which, the magic of the book revolves around the consumption of the blood of dragons, of which there are four known types; green, blue, red, and black. By drinking the different blood types, rare individuals can gain incredible powers for a short period of time. The world of The Waking Fire is built on the industrialization of this blood, and the economies of nations ride on the ability to produce the product. The main plot of the book revolves around the hunt for a mythical fifth dragon type, the white, but there are also a number of subplots that run throughout the book that would take too long to list. The book has three major protagonists, one for each of the different categories listed above (spy, military, and adventure). The first is Lizanne, an industrial spy in the employ of a large trade conglomerate, who is tasked with gathering cover knowledge about the location of the white drake. The second is Hilemore, second mate on a ship in employ of the trade conglomerate and tasked with protecting the assets of the company. Finally there is Clay, a younger character from the ghettos who is roped into an adventure to search for the mythical white drake against his will. The book follows each of them separately as they set about their tasks and blends their narratives to tell the full story. The strengths of The Waking Fire are numerous. 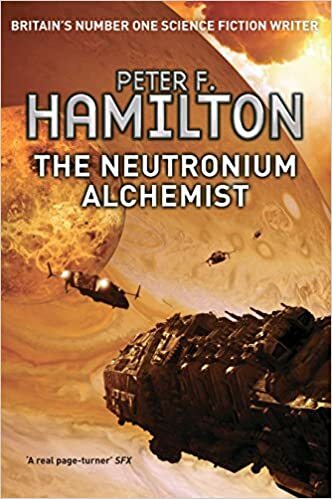 The first is that it offers a refreshing and unique setting for a fantasy world with its industrial technology and intense focus on the economy. In addition, the book might be only part spy, part military, and part adventure but it feels like it is an all star novel in each of the genres. The spy craft is intriguing, the military exciting, and the adventure awe inducing. The Waking Fire outperforms books in all three genres, yet doesn’t feel like a mish mash of different books thrown together. Next, the characters are incredible, from protagonist to side characters. I particularly enjoyed the complex relationships that develop all across the book between family, friend, and love interests. The book is also a lot more mature in its philosophies, concepts, and execution than Ryan’s past work. This is a more subtle and clever work than The Raven’s Shadow and I cannot wait to see how it develops. Speaking of which, the plot is good, really good. I don’t really understand how he did it, but somehow Ryan managed to convince me I learned a million things about The Waking Fire as I read it, yet came out feeling like I knew nothing with 1000 questions. It is one of the few books I finished and immediately wanted to reread just to make sure I got everything. While the positives of the book are numerous, I would be remiss if I did not also talk about the two negatives I encountered. The first is that The Waking Fire really could have benefited from a small synopsis of the different factions at the start of the book. This is a problem that has plagued Ryan in the past, and it took me some time to understand who was working for who and led to some initial confusion. It did not help that my ARC copy did not have this awesome map, but as it was an ARC I can’t dock it points for that.The second is that while the three protagonists stories are all fully realized and equally good, Hilemore’s chapters fall off the face of the Earth (or wherever The Waking Fire takes place) in the last part of the book and I would have liked a little more time with him than I got. The Waking Fire is not like Blood Song or the rest of The Raven’s Shadow in the best way possible. Instead Ryan has created a second universe that I like even more than his first and cannot wait to pick up the next installment. With its genre boundary-breaking adventure, The Waking Fire easily will make my list of best books of 2016 and demonstrates that Ryan is more than a one trick pony. The Quill to Live recommends you pick up this fantastic story as soon as you can, and start your own quest for the white drake. This week I finished up The Raven’s Shadow Trilogy by Anthony Ryan, with Queen of Fire. In preparation for the final book, I also reread the first two books in the series Blood Song and Tower Lord. In doing so I gained some valuable insight into rereading books that I want to share with all of you. The mind-blowing insight is essentially that sometimes rereading a book makes you like it a lot more. I know, your mind is blown. Rereading Tower Lord caused me to increase my rating of the book by a noticeable amount, but first let’s talk about Blood Song. For those of you unfamiliar with the series, Blood Song is a fast paced story about a boy taken into a military order as a child. He is then raised to be a member of an elite group of warriors whose purpose is to protect their country from harm. It is also one of my favorite books ever. The book has the school element that Harry Potter and Name of the Wind do so well combined with a squad of well developed and interesting characters. The first book is completely from the perspective of one character, Vaelin, and details a good portion of his life, often jumping forward many years at a time as the book goes on. The book is exciting and suspenseful, the plot is well written, the world building is excellent, and the book is beloved by numerous fantasy fans young and old. Additionally, it has some of the best fighting and action around. If you have not read Blood Song yet, I recommend you check out this book beloved by almost all who read it. Then we have Tower Lord. The second book in the Raven’s Shadow trilogy had a much more mixed reaction, with fans usually having very polar reviews of the book. I believe that much of the dislike for the book stems from a dramatic change in narration style; going from one perspective to four. Many fans grew very attached to Vaelin, and were upset to see him share the limelight with three other characters. Which is a damn shame, because the other POVs are all just as amazing. 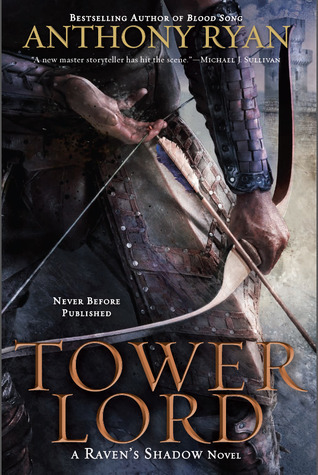 When I initially read Tower Lord, I fell into the disappointed camp. After waiting such a long time to hear more of Vaelin’s story, I found the other POV’s an annoying distraction. In addition, Anthony Ryan does not hold any hands when it comes to remembering who characters are. This becomes particularly important in both Tower Lord and Queen of Fire, as tons of minor characters that I put out of my mind turn out to be important to the plot. These two factors negatively colored my experience with the book, and I ended up thinking it was a subpar sequel to one of my favorite books. Then I reread Blood Song and Tower Lord. The second time around, without the baggage, I think I would say that Tower Lord is possibly a better book than Blood Song. The sequel has almost everything Blood Song did, with a few bonuses. While the pace is a little slower, the book more than makes up for it with three fantastic new points of view and a complexity that was absent in the first book. Tower Lord opens the story to the more central plot that took a back seat to Vaelin’s journey to adulthood in the first book. Through the eyes of all four characters the world and cast is greatly expanded without losing any of the world building, action, and excitement. I recommend rereading Tower Lord like I did if you did not enjoy it the first time around. This brings us to the final installment of the Raven’s Shadow, Queen of Fire. To continue pounding this message in, definitely reread the first two books before starting. If you feel like you could use a book summary or glossary as you read it, your memory of the first two books is probably not sharp enough to fully enjoy it. Some of you might not care about this, but I wanted to enjoy the finale to one of my series as much as possible. Queen of Fire is in five point of views, expanding the cast of Tower Lord with one additional voice. I think it would be best if I avoid any spoilers, so I will simply tell you it is good. The book kicks off right from the start with a few great twists and keeps them going all the way through. 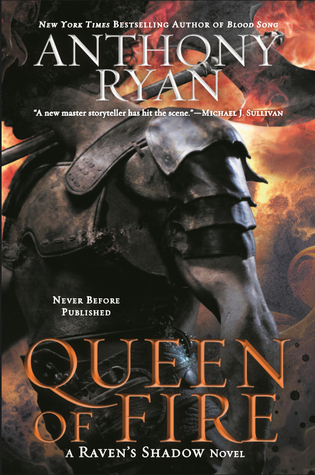 Queen of Fire shows that Anthony Ryan always had a deep and complex story planned from the start, and that Blood Song was certainly just the opening chapters. The pacing remains fast and the action rises to new heights of intensity. Overall I thought it an excellent end to the trilogy. That being said, there were a few minor things I didn’t like, but not enough to meaningfully impact my overall experience with the book. There were a few moments of what felt like forced character development for one or two of the POV’s. In those instances, it felt as if Anthony Ryan wanted to get the characters to a specific place before the end of the book but didn’t know how to do it. In addition, the scope of some of the final fights between armies were a little too large for me to fully grasp. I think that Anthony Ryan is a king of combat description when it comes to individual players, but his larger battle field descriptions are not quite on the same level. However, even with these minor complaints I still loved the book start to finish. I have been seeing a lot of negative reviews for the book pop up and I don’t quite understand how people disliked it so much if they enjoyed the previous two novels. If you have not started Blood Song you should. If you didn’t like Tower Lord the first time, maybe you should give it another shot. If you are about to start Queen of Fire, make sure you have read the first two recently and enjoy the conclusion to a great story.